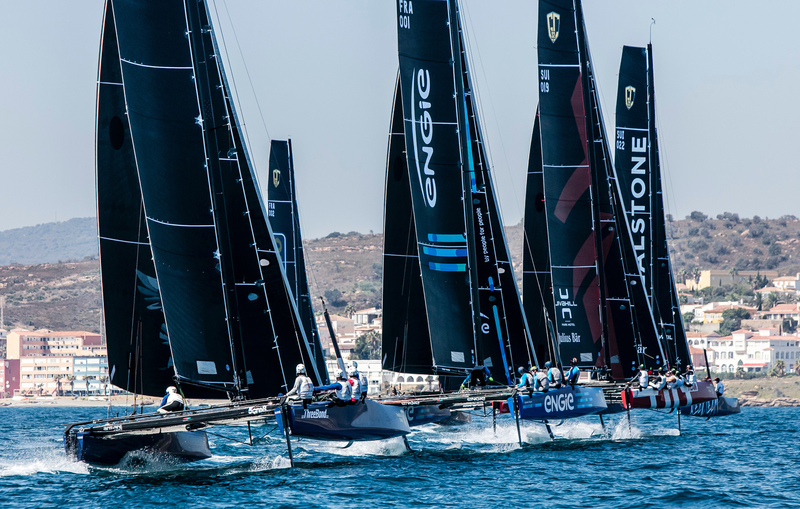 Photos: Renedo/Lloyd/Renedo / GC32 Racing Tour / Extreme Series - The GC32 Racing European Tour and the Extreme Series teams will join their teams for the first unified Championship (or unofficial Worlds) and after seeing the GC32s at Garda in 2016, this event may deliver more excitement than the ACWS or even the AC Finals . The Argentine GC32 team 'Codigo Rojo Raicng' will not be there this edition, but the team manager and Captain, Lucas Gonzalez Smith will be assembling some boats and racing to get experience for the team first GC32 European Tour event at Garda 2017. The Arg team will be present next year unified Championship on a location yet to be decided. GC32 Championship web: www.gc32championship.com - Below press release sent by GC32 Racing. A joint gathering of the international fleets of GC32 one design foiling catamarans is to take place at the GC32 Championship in Muscat, Oman over 27 February to 5 March 2017. This will be the first occasion ever that the GC32 Racing Tour and the Extreme Sailing Series™ fleets have combined to lock horns on the race course. 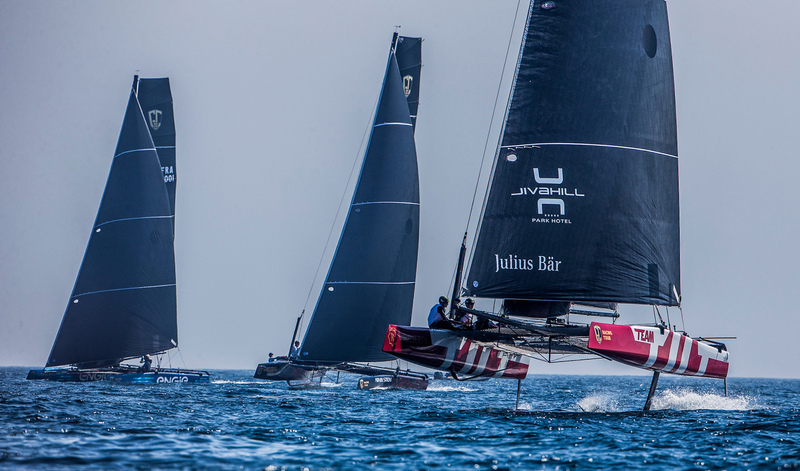 The GC32 Championship 2017 will be one of the largest ever gatherings of one design foiling catamarans. The winning team will be crowned GC32 Champion for 2017 and will receive the GC32 Championship Perpetual Trophy. The GC32 Championship 2017 will be held out of the Al Mouj Marina (aka The Wave, Muscat; for many years sponsor of a team on the Extreme Sailing Series), on the outskirts of Muscat, where Oman Sail has its headquarters. The event will precede Act 1 of the Extreme Sailing Series which takes place over 8-11 March. Run by the GC32 International Class Association, the joint organising authority with Extreme Sailing Series organizers and owners OC Sport, and hosted by Oman Sail, racing at the GC32 Championship 2017 will take place over five days, from Tuesday, 28 February until Sunday, 5 March, with a layday on the Thursday and practice races held on Monday, 27 February. A maximum of five races will be sailed each day, dependent on conditions. Two races areas will be used for the event: ‘Alpha’ - off Al Mouj Marina and ‘Bravo’, further along the coast, off Muttrah, Muscat’s old town. GC32s currently are campaigned by teams from France, Switzerland, Denmark, UK, USA, Japan, New Zealand, China, Oman, Austria, Portugal, the Netherlands, Turkey and Argentina. The aim for the GC32 Championship is for it to become an annual event. OC Sport's Andy Tourell, Event Director of the Extreme Sailing Series, commented: “Each of the two circuits has its own position in the sailing world, but with the GC32 you have a one design platform so getting as many boats as possible on the start line is fantastic, it amplifies it for everyone competing. Christian Scherrer, Class Manager and Manager of the GC32 Racing Tour, said: “I am very much looking forward to the first combined GC32 Championship and seeing the two fleets of the GC32 Racing Tour and the Extreme Sailing Series racing together. It’s a long-awaited step in the development of the GC32 Class. We hope that Oman will live up to expectations and lay on some good weather for us." 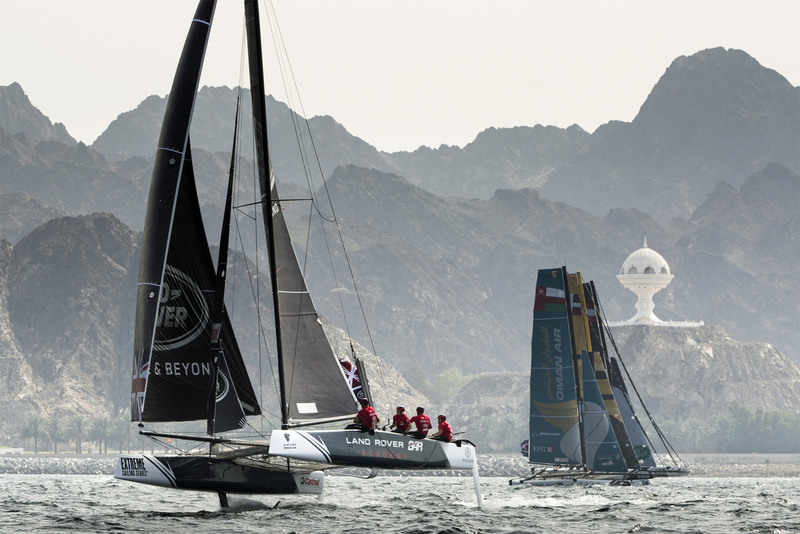 Oman is the perfect venue for yacht racing over the winter months in the Northern hemisphere. Typically off Muscat a sea breeze builds to 10-12 knots and occasionally as much as 15 in the afternoon, developing a slightly choppy sea state – perfect conditions for foil-borne catamaran racing – while the air temperature is in the low 20s, similar to that of summer time in Europe. In addition to the main GC32 Championship title, there will be a separate ranking and trophy for owner-drivers taking part.